Consuming this one simple fruit combined with a diet rich in saturated fats can lower obesity risk as well as improve gut bacteria, a new study has found. Consuming grapes combined with a diet rich in saturated fats can lower obesity risk as well as improve gut bacteria, a new study has found. According to researchers, it may also help counter the negative effects of a high fat diet, including heart disease, hypertension and diabetes. The findings showed that the unique and diverse composition of antioxidants called polyphenols present in grapes can help reduce the percentage of body fat, subcutaneous and visceral fat deposits, markers of inflammation in the liver and improve glucose tolerance. Further, it also increased microbial diversity and decreased abundance of several deleterious bacteria in the intestinal tract. The research, published in the Journal of Nutritional Biochemistry, is based on two laboratory studies. In the first study, intake of a diet high in fat content (33 percent of energy from fat) and enriched with 3 percent grapes for 11 weeks, showed a lower percentage of overall body fat and reduced subcutaneous fat deposits. In the second study, which ran for 16 weeks, the researchers used an even higher fat diet (44 percent of energy from fat) with multiple types of saturated fat, including lard, beef tallow, shortening, and butter similar to some Western-type diets. “These two studies suggest that grapes and grape polyphenols may help offset a number of the adverse effects of consuming a high fat diet and trigger improvements in intestinal or systemic health,” said lead researcher Michael McIntosh from the University of North Carolina in the US. 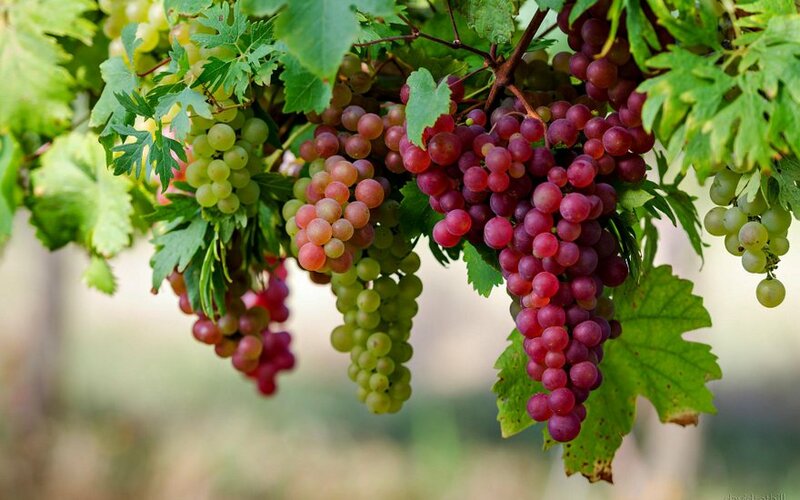 The researchers investigated the impact of the high fat diet enriched with extracts of either the polyphenol fraction of grapes or the non-polyphenol portion of grapes, as well as the high fat diet plus five percent whole grapes. All the high fat experimental diets were matched for sugar type and amount.